So far this series of Best Views For Free was ‘strictly’ reserved for the London area, but I feel it’s time to stretch the borders and I mean, why not?! 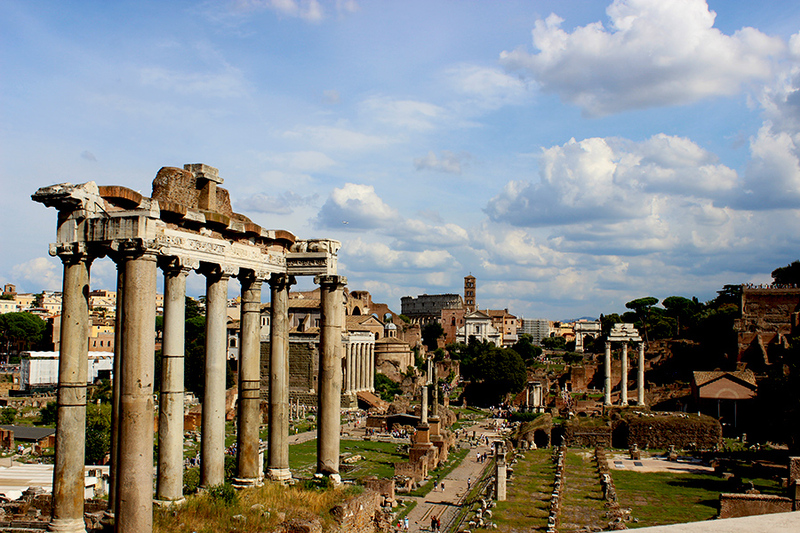 Rome was built on 7 hills, so ample of opportunities to enjoy breathtaking views from one of them. 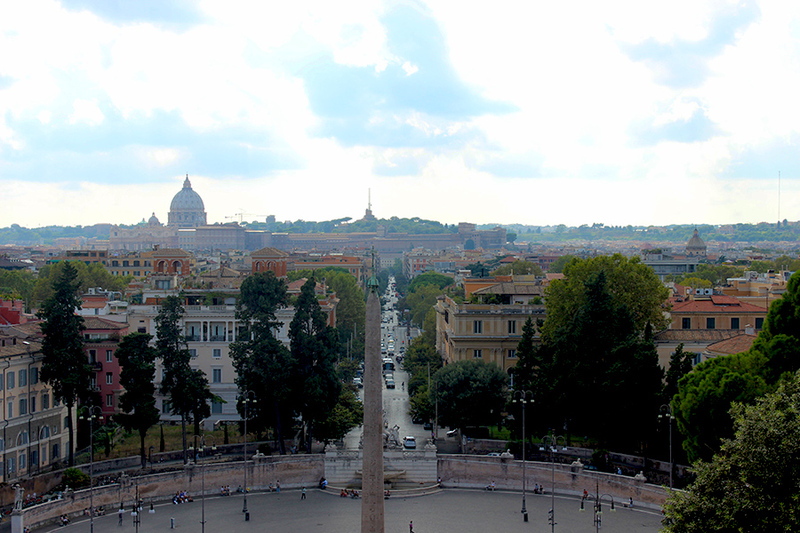 A few weeks ago I had the absolute pleasure to hang out in the Eternal City and to climb a few of them. 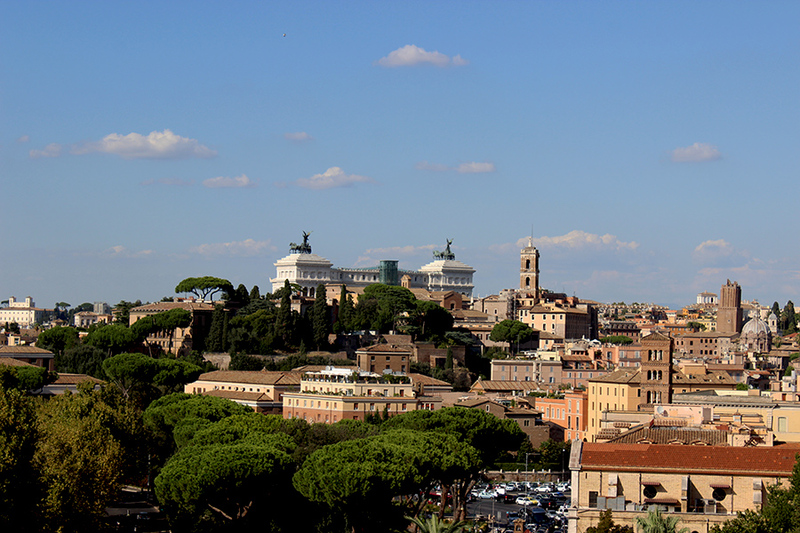 The most recognizable of all the hills of Rome must be Capitoline Hill. 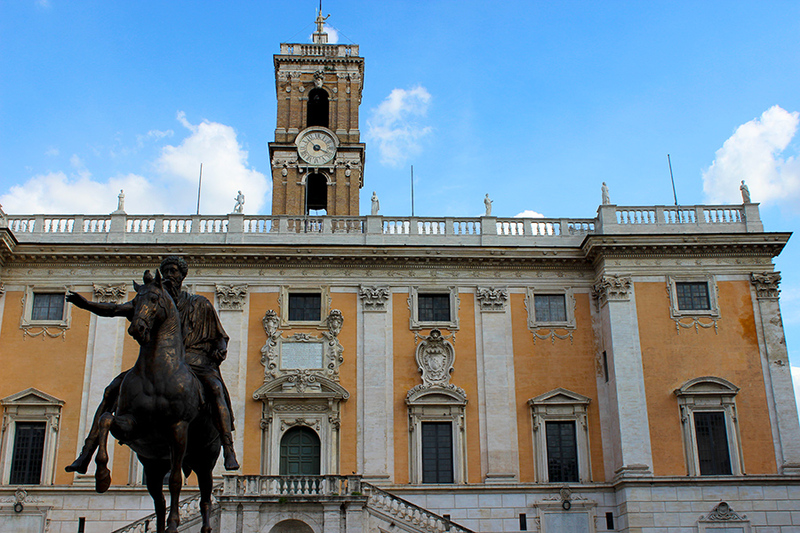 Walking up the stairs towards Piazza del Campidoglio you already feel that sense of power that the area conveys. 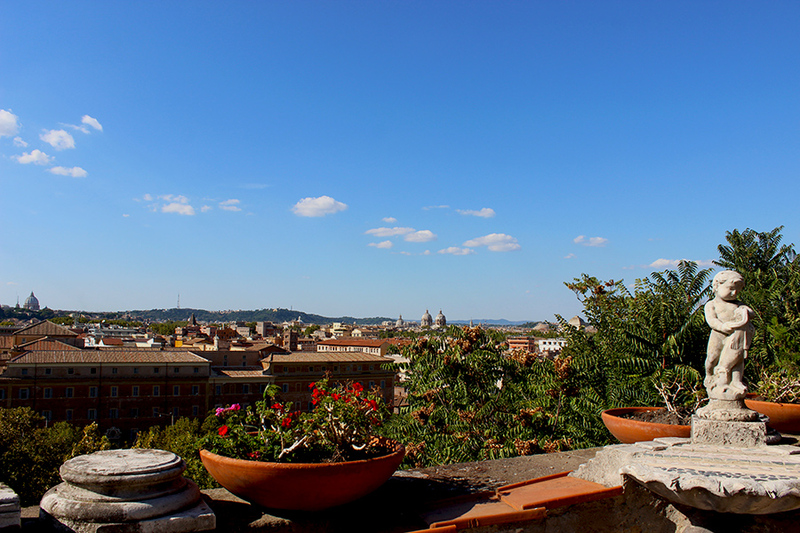 But the piazza is not really where you will find the best view. 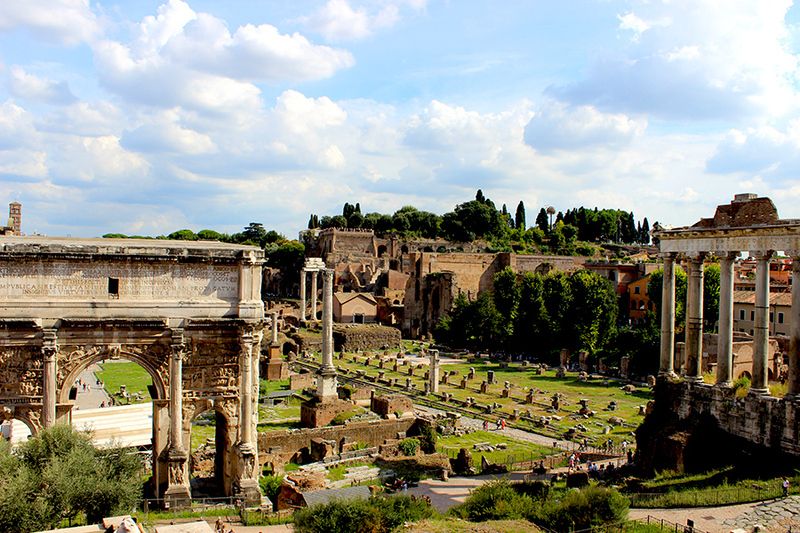 Instead, walk around the building you see in the first photo and you’ll be rewarded with one of the best views over Forum Romanum. The look of this site at night might be even more spectacular! Check out this post and judge yourself! 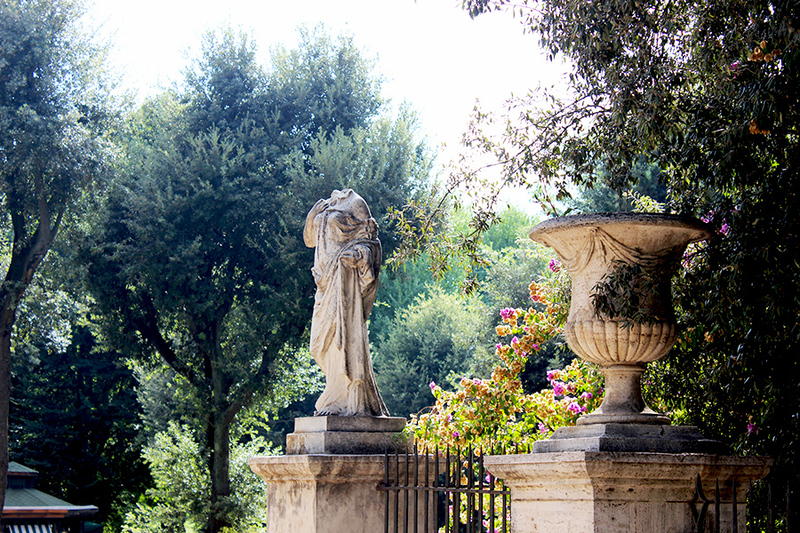 Villa Borghese is one of the largest public parks of Rome and has some beautiful gardens on offer. The gardens boast stunning buildings, ponds, statues, and even a copy of Shakespeare’s Globe Theatre. The sense of ‘Britishness’ radiates from the area and maybe that’s why I felt so at home during my visit? 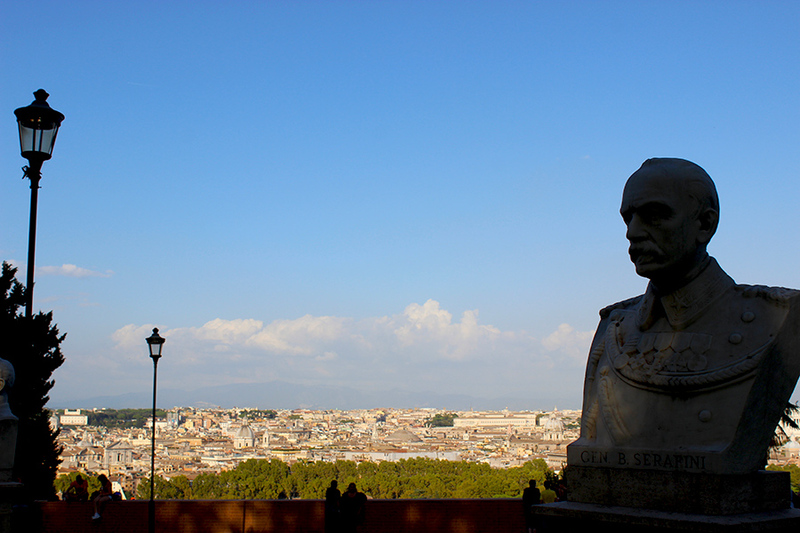 I don’t know, but what I do know is that the absolute highlight of my visit to the gardens was the magnificent view I had over Rome from multiple sides. 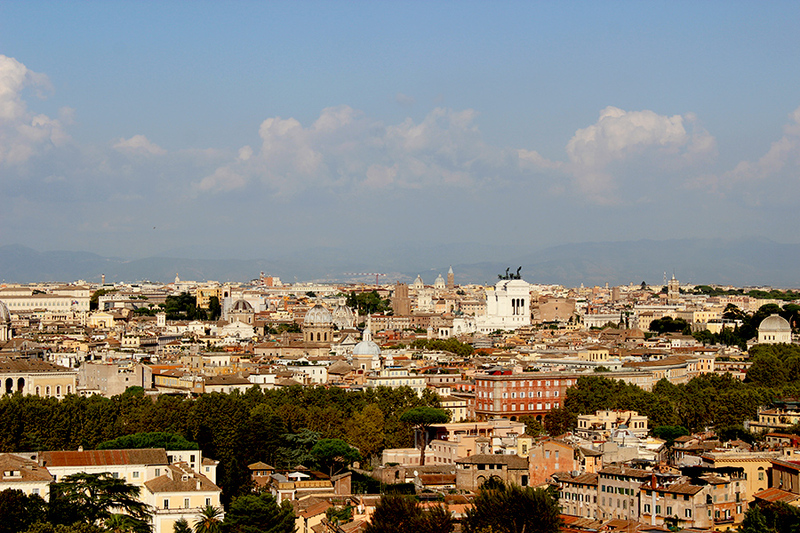 Actually not one of the official Seven Hills, Janiculum, or Gianicolo, is certainly not to be missed on this best views list. 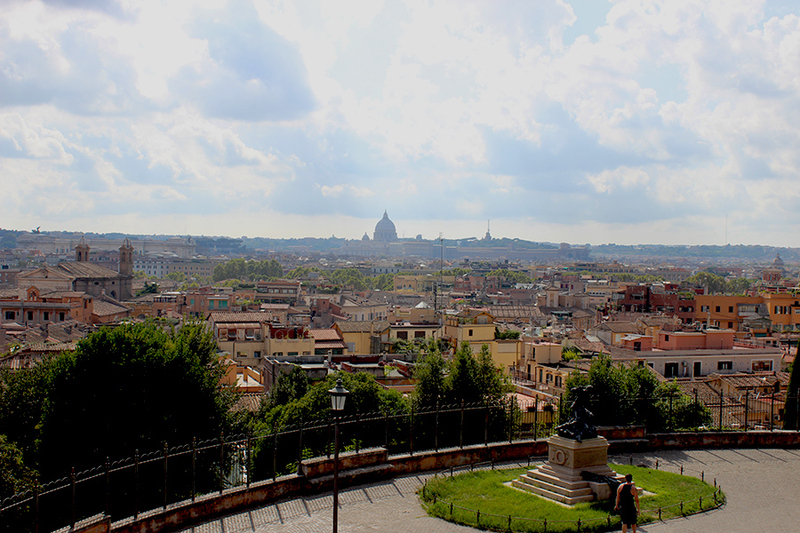 Claimed to boast the best view of Rome, this hill is located right in between the Vatican and Trastevere. 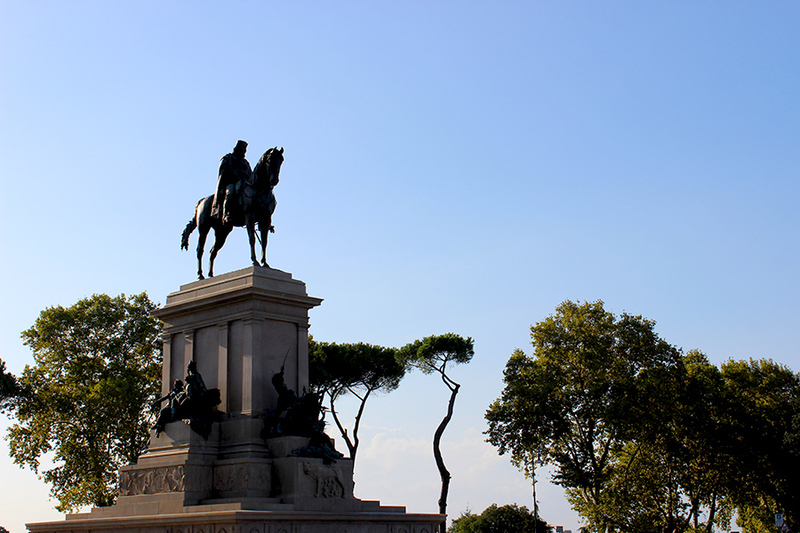 Not only a hill with a view, but with an educational purpose as well, as busts of Italian heroes of the Italian Risorgimento are scattered around the area. 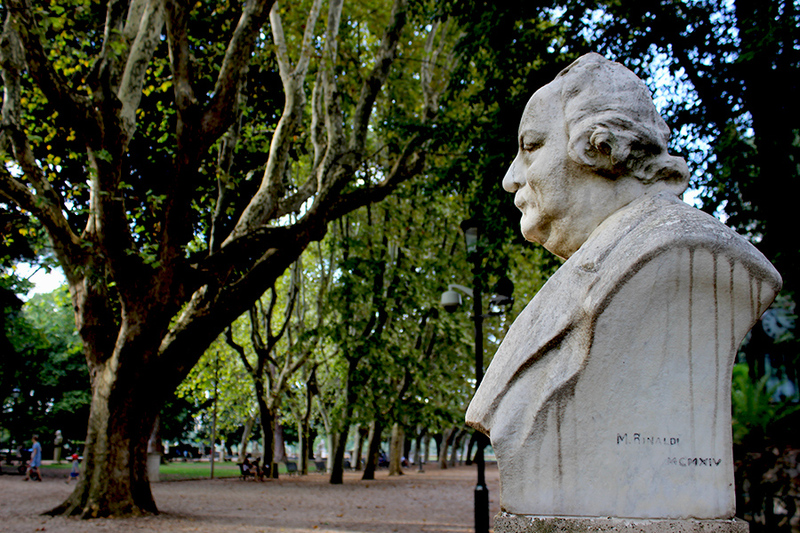 You can certainly call Giardino degli Aranci (or The Orange Garden) a romantic gem. This public garden on top of the Aventino Hill boasts the second-best view of St Peter’s Basilica and I can totally see why it’s a favorite among wedding photographers. 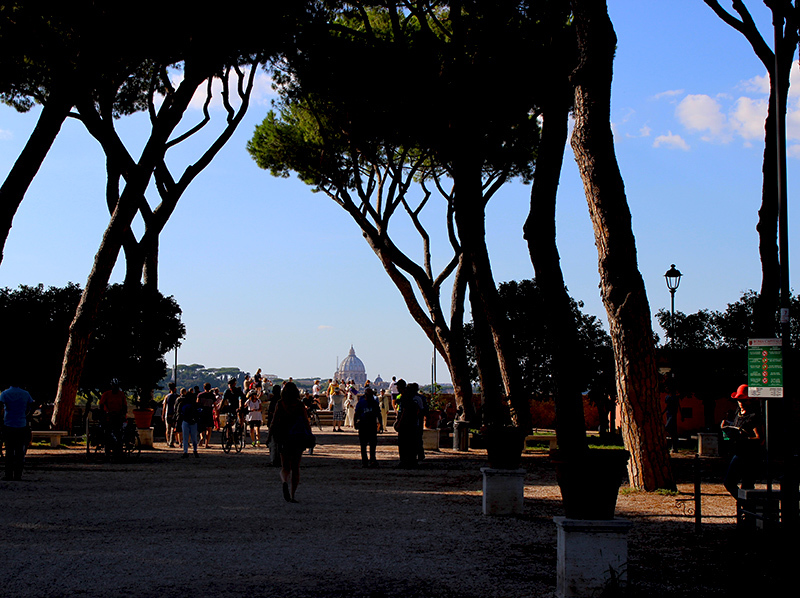 A long lane of trees and benches lead to a plateau looking directly over the Vatican, with its famous basilica and some of the other highlights of the city. Second-best view, since the most spectacular view can be found from a very remarkable location. When you walk up the hill coming from Via di Porta Lavemale, you will quickly see a line of people queuing in front of a door. A peculiar sight, especially when you’re not aware that this is Buco di Roma (literally: the hole of Rome). This key hole in Piazza dei Cavalieri di Malta features the most magnificent views of St Peter’s Basilica. I did an attempt of taking a photo, but with people waiting behind me, I didn’t have the time to set my camera right and that’s why I didn’t succeed. But it was a spectacular sight indeed! This are only four of the best views, but I bet there are more! 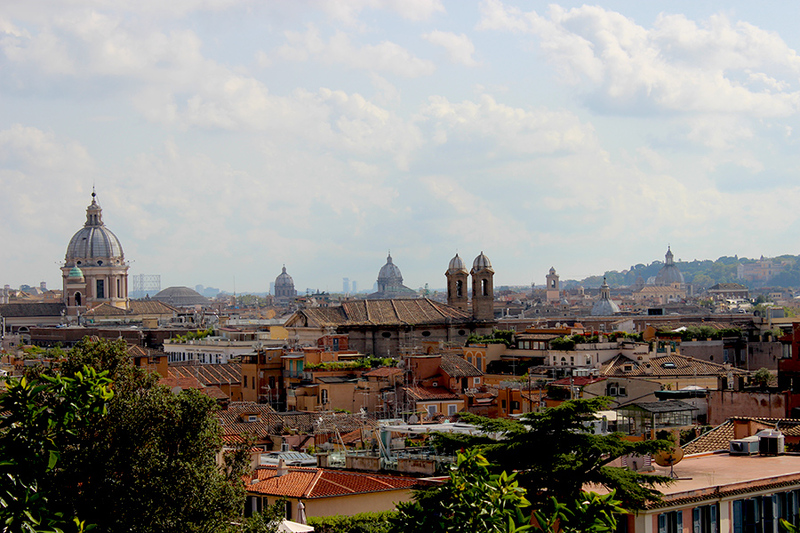 Two weeks are way too short to see all that is beautiful in Rome. 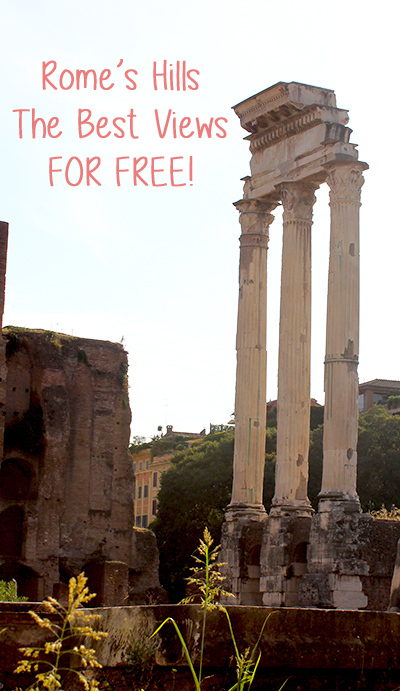 What are your favorite views of Rome? Share your recommendations in the comments below!